يغطي حوض أوبس نور مساحة أكثر من مليون هكتار وهو الحوض المغلق الواقع إلى أقصى الشمال في آسيا الوسطى. ويشتق اسمه من أوبس نور وهي بحيرة كبيرة قليلة العمق وشديدة الملوحة وتؤدي دوراً مهمّاً في حياة العصافير المهاجرة المائيّة كما البحريّة. ويضمّ الموقع الموزّع على اثنتي عشرة مساحة محميّة، طيفاً من النظم البيئيّة التي تمثل أبرز ثروات أوراسيا الشرقيّة. وتحتفظ النظم البيئيّة المكوّنة من سهول واسعة بثروة وتنوّع من العصافير كما تحوي الصحراء عدداً من الجربيل واليربوع وابن العرس الرخامي النادر. وتشكّل الجبال موئل فهد الثلوج (وهو صنف مهدد) والكبش البرّي والوعل الآسيوي. Объект наследия (площадью 1069 тыс. га) находится в границах самой северной из всех бессточных котловин Центральной Азии. Его наименование происходит от названия обширного мелководного и очень соленого озера Убсунур, в районе которого скапливается масса перелетных, водоплавающих и околоводных птиц. Объект состоит из 12 разрозненных участков (в т.ч. в России семь участков, площадью 258,6 тыс. га), которые представляют все основные типы ландшафтов, характерных для Восточной Евразии. В степях отмечено большое разнообразие пернатых, а на пустынных участках обитают редкие виды мелких млекопитающих. В высокогорной части отмечены такие животные, редкие в глобальном масштабе, как снежный барс и горный баран аргали, а также сибирский козерог. Esta cuenca cerrada de más de un millón de hectáreas es la más septentrional del Asia Central y recibe su nombre del gran lago de Ubs Nuur. Poco profundo y muy salado, este lago desempeña un papel muy importante en la vida de las aves migratorias, tanto fluviales y lacustres como marinas. El sitio está dividido en doce zonas protegidas y posee una amplia gama de ecosistemas representativos de los principales biomas de Eurasia Oriental. El ecosistema estepario alberga una gran variedad de aves y en las zonas desérticas viven jerbos, jerbillos y una especie rara de turones jaspeados. Las zonas montañosas sirven de refugio a una especie en peligro de extinción, el leopardo de las nieves, así como a ovejas montesas (argalis) e íbices asiáticos. Het Uvs Nuur bekken (1.068.853 hectare) is het meest noordelijke ingesloten bekken van Centraal-Azië. Het ontleent zijn naam aan het Uvs Nuur meer, een groot, ondiep en erg zout meer, dat van belang is voor trekvogels, watervogels en zeevogels. Het bekken bestaat uit twaalf beschermde gebieden die representatief zijn voor de grote biomen (ecosystemen) van oostelijk Eurazië. Het steppe ecosysteem heeft een rijke verscheidenheid aan vogels en de woestijn vormt het woongebied van de zeldzame gerbil, springmuizen en de gemarmerde bunzing. De bergen zijn een belangrijk toevluchtsoord voor het wereldwijd bedreigde sneeuwluipaard, bergschapen (argali) en Aziatische steenbokken. Shared by Mongolia and the Republic of Tuva in the Russian Federation, Uvs Nuur Basin is a transnational World Heritage property in the heart of Asia. The serial property comprises seven components in Mongolia and five in the Republic of Tuva, clustered around the shallow and highly saline Lake Uvs Nuur. Some components are contiguous with each other across the international border, while others are distinct units. Inscribed in 2003 on the World Heritage List, the total surface area is close to 898,064 ha, of which 87,830 ha belong to the cluster in the Russian Federation, with 810,234 ha belonging to the Mongolian cluster. The central Uvs Nuur Strictly Protected Area in Mongolia covers almost half of the surface area of the entire property. While no buffer zones were formally recognized during the inscription of the property for its components on the Mongolian side, five of the seven components within the Russian Federation have buffer zones, totalling 170,790 ha. The ancient lake basin and its surroundings boast an extraordinary landscape diversity ranging from cold desert to desert-steppe and steppe, conifer, deciduous and floodplain forests to diverse wetlands and marshlands, freshwater and saltwater systems, mobile and fixed sand dunes and even tundra. The property includes peaks up to some 4000 m.a.s.l., towering high above Lake Uvs Nuur at around 800 m.a.s.l. The property contains remnant glaciers from Pleistocene ice sheets and numerous glacial lakes, and is of particular scientific significance for studying the evolution from the Ice Age to present-day conditions. Reflecting the landscape diversity, there is a rich species diversity which includes locally endemic plants and endangered species like the snow leopard. The entire basin has never been subjected to large-scale resource exploitation and has a longstanding and ongoing history of mobile pastoralism. The historical, cultural and spiritual importance of the landscape and many of its features are reflected in countless artefacts and archaeological sites and in the contemporary life, knowledge, resource use, songs and legends of local and indigenous communities. Criterion (ix): The remote and enclosed salt lake system of Uvs Nuur with its high degree of naturalness is of international scientific importance due to its large-scale undisturbed climatic, hydrological and ecological processes and phenomena. Because of the relatively stable past and contemporary pastoral use of the grasslands and the absence of conversion or major human impacts over thousands of years, it constitutes a unique field site for a great variety of subjects, including research into the ongoing development of Uvs Nuur and other smaller lakes within the basin, and the still intact processes of long term lake salinisation and eutrophication. In addition to important past and current research efforts on both sides of the border and in recognition of its unique geophysical and biological characteristics, the Uvs Nuur Basin has also been selected as a field site for the International Geosphere-Biosphere Programme (IGPB), a global effort to monitor and understand global change. Criterion (x): The serial property conserves the most valuable areas representing the much larger Uvs Nuur Basin, across an enormous range of ecosystems and habitats, including along a major altitudinal gradient. The diversity represents the major biomes of Central Asia with a corresponding floral and faunal diversity. There are important areas of different forest types and highly specialized vegetation in high altitudes, tundra systems and dry land ecosystems, including species and communities adapted to saline conditions. The more than 550 higher plants include relict species and a number of plants endemic to Mongolia and the Tuva Republic, with five species endemic to the lake basin. The various ecosystems support a rich faunal diversity, such as the argali sheep, Siberian ibex, Pallas's cat and the elusive and globally endangered snow leopard. The numerous rodents are of major ecological importance and include two vulnerable jerboa species and gerbil. The many ecological niches are occupied by an impressive density of breeding raptors. The property is also of major importance for waterfowl, as well as a stepping stone in the bird migration between Siberia and wintering ranges in China and South Asia. The Uvs Nuur Basin is a naturally diverse and simultaneously distinct landscape unit surrounded by several large and high mountain ranges. To the North, the basin transitions into the Tannu-Ola Range, to the East are the Sangilen and Bolnai Ranges; to the West the Tsagaan Shuvuut and Shapshaskee Ranges constitute natural boundaries, while the Turgen Uul and Hanhohee Ranges are adjacent to the South. All components and the zoning were selected considering biodiversity at all levels, connectivity and overall integrity. There are excellent opportunities to manage the basin at the landscape level across national boundaries of the property protected by the World Heritage Convention. However, it is important to understand the large scale of the basin, of which only a small part is protected and recognized as a World Heritage property. Mobile herders have been coexisting with the diverse flora and fauna in harsh environmental conditions for thousands of years without degrading the productivity, resilience and diversity of the basin. However, under changed and changing macroeconomic and political circumstances, there are concerns about poaching, illegal logging and overgrazing in certain areas of the basin, likely to affect the integrity of the property in the long term. The Uvs Nuur Basin transnational World Heritage property is formally protected public land in its entirety in both countries. All components are protected under the highest levels of the national law of both concerned countries, the Laws on Special Protected Areas (1994) and on Buffer Zones (1998) in the case of Mongolia and the Federal Law on Special Protected Areas (1995) in the Russian Federation. This includes the Mongolian Tes River component, the status of which was upgraded in response to the inscription decision by the World Heritage Committee. Much of the land of the contemporary protected areas overlaps with traditionally sacred mountains, lakes, rivers and other revered landscape features. The property is not only an excellent example of cooperation in the conservation of a shared ecosystem across an international boundary but also of cooperation between governmental, scientific and non-governmental institutions. Several bilateral agreements at the level of the responsible ministries and the protected area administrations formally underpin cooperation and joint management planning. Border Protection staff assists in the protection of the property on a permanent basis on both sides of the border. Environmental education and information activities further support the conservation of the property. 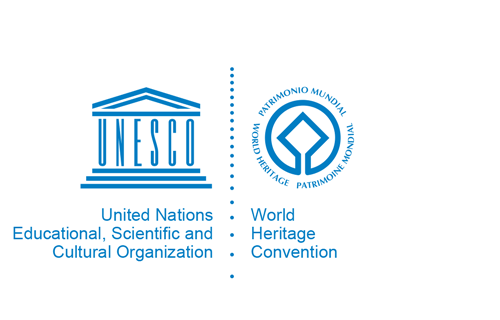 Building upon existing involvement of local and indigenous communities, it is envisaged to promote the World Heritage property as a model of integrated and sustainable conservation and development. One important entry point is the acknowledgement and revitalization of traditional conservation beliefs. Given the longstanding interaction between livestock, wildlife and vegetation, mobile herding is an integral element of the contemporary ecosystem. However, herding is not sustainable per se, as overgrazing can result in erosion and reduced productivity of the grasslands at the expense of livestock, wildlife and people. As elsewhere in the region, there are signs of mounting pressure on pastures, forests and wildlife, as well as increasing occurrence of fires. The main challenge for the future of the property and the wider Uvs Nuur Basin will be to maintain the balance between use and conservation at the landscape level, including but not limited to the twelve components of the property. The control of illegal activities in the property, such as poaching and illegal logging, requires adequate equipment, staffing, and funding of law enforcement, as well as transboundary cooperation on a permanent basis. Research has an important role to play in terms of better understanding the ecology and cultural heritage of the basin in order to accompany conservation and management.